In Germany, theatre stands in the tradition of being an aesthetic tool for societal critique and a playground for re-thinking society and reflecting on political ideas. Especially during the last years, according to the worldwide political developments affecting the present this understanding of theatre became even more important. But how much of the ideas performed on stage is transferred into the world behind the scenes? Jakob Weiss is a stage director, based in Berlin, who has had quite a journey through different theatres all over Germany – working as a stage designer before he became a director. In gathering all these insights and experiences, he developed his own understanding of working in a theatre and now pursues another approach to a political practice. 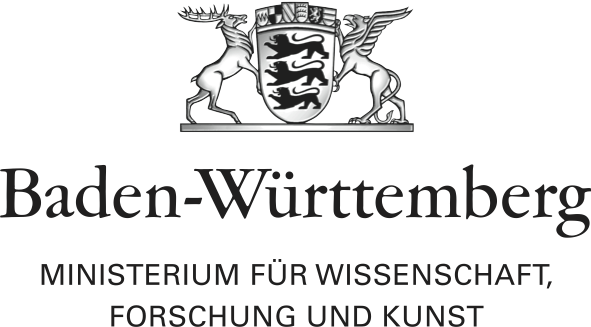 Jakob holds a cooperation fellowship between Akademie Schloss Solitude and Württembergische Landesbühne and released two plays in the beginning of 2017: Eine Sommernacht und Die Frau, die gegen Türen rannte. During our interview, we sat in the small atrium at Württembergische Landesbühne in Esslingen, a town close to Stuttgart. Here, everybody knows Jakob, so we stop several times for a chat – where I start to understand Jakob’s strategy not only by listening, but also by witnessing his way of encountering people. Judith Engel: Translated into an image, what does your work as a theatre director look like? Jakob Weiss: It is like driving a car. I know my destination, but I don’t know the way. That’s why the dramaturg sits next to the driver with a map trying to navigate. That’s extremely important because the driver can’t look at the map and drive simultaneously without taking the risk of causing an accident. JE: Just for clarification, you are the driver? JW: Yes, the stage director is the driver and the process of developing a play on stage is like going on a journey. Imagine the time of preparing the rehearsal process like planning a holiday. Let’s say, just hypothetically, that the theatre commissioned me to go to Norway. I will have a look at the map and think about places worth visiting. To reach these places I need somebody to tell me the way while I’m busy with driving. That’s the task of the dramaturg. On the backseat, the actors are whining and constantly asking »Where are we going to«, »Have we reached the spot yet«? Plus, all technical departments demand to choose the fastest way, because they’re all very busy. JE: Sounds more like a bus. JW: Right, it is a bus, a huge bus. At some point the theatre director and the chief dramaturg also join the bus asking »Where are you actually driving to?«, »That’s the wrong way«, »You were supposed to go somewhere else, drive left here«, and then it is up to you to decide if you drive left or right or if you stick with your direction. In the end, if everybody tries to be cooperative, it is usually a very pleasant road trip. The beautiful thing about theatre is exactly this notion of cooperation. It is not about searching for a genius idea while sitting alone in a studio, theatre is a social kind of art. It is, furthermore, not about placing great ideas in a space, but about thinking how to mediate them and meanwhile still being able to consider everything you come across as possibly valuable content. That’s also like traveling: you constantly should be open minded. JE: Do you reach your initial aim or is the destination negotiable? JW: No. That may sound astonishing, but I already have a feeling for the outcome of the play when I read it for the first time. Until now, it never happened that something came out different than I’ve thought of it in the very beginning. I’m always overly well prepared for the phase of rehearsing. That creates a feeling of safety for everybody else. If you manage to convince people of what you are planning to do, it works quite well. During my time as an assistant I was involved in many productions where the aim was completely missing and this created a very tensed atmosphere including a lot of pressure for the actors. Flexibility isn’t wrong, though, I learned during a huge project called »11 Dokumente«, a 24 hour long, collectively produced play with non-professional actors at Badisches Staatstheater Karlsruhe. The scenes were written during the rehearsals by an author and director and had to be rehearsed immediately. There was no time for preparation. It was more like assembly-line work. A very valuable experience for me to learn, as I said, to be a bit more flexible. JE: To go back to the image of the travel bus, it sounds quite exhausting. What is your ever-renewing motivation to plan these journeys despite all the exhausting discussions during the travel? JW: I think it is the same motivation that makes one travel. During a journey you experience life different and you experience yourself in another condition. My feeling when I’m directing is very similar. I feel a very strong connection to myself and, simultaneously, I’m very open minded. That’s a beautiful way of being. When I was directing for the very first time, I experienced the first days as extremely exhausting. After this feeling vanished it changed into a state of being mutually empty and fulfilled. Somehow, I need this feeling. Without I’m very unsatisfied. JE: One of your central interests seems to be the exchange with other people. Driving alone to Norway wouldn’t be an option? JW: Exchange is important to me. As you noted yourself, when stepping into the theatre I’m overwhelmed with feedback and people are happy to see me. The latter depends, of course, on how you encounter people. That’s something I experience as very fulfilling – to build something up together, to go somewhere together you have never been before, to create a space where people can develop their potential, to work with actors and see their roles growing and unfolding. That’s great and it’s the only thing I’m very good at. JE: This sounds very convinced; did you try other things before? JW: I applied for stage design at an arts academy in Berlin when I was in the beginning of my twenties. It was horrible. I sat in the admission exam and all around me were highly skilled people drawing and creating just great stuff. I looked around scribbled a bit and found it impossible to stand that others were better than me (laughing) – as idiotic as that sounds. But, regarding directing, I have the feeling that I’m very good at it, that this is something that represents me and where I fit in as the person who I am. I feel at home when I’m directing. JE: How did you discover that? JW: It was a sense of foreboding (laughing). Both of my parents are actors and I kind of grew up in theatre. I always had the feeling everybody was waiting for me to become an actor. I always knew I will never become an actor because I don’t want to spend so much time with being someone else. After finishing school I was completely lost and had no idea what to do. By accident I came across the previously mentioned »stage design studies«, that I found rather interesting. To apply I needed to do an internship for stage design. I didn’t stop after my first internship at Hamburger Schauspielhaus and went to Schaubühne Berlin and Stuttgarter Staatstheater. My third internship in Stuttgart went so well that the stage design assistant offered me to overtake his job. During this task, I started to note that many of a stage designer’s duties made me grumpy as they required to drive around and search for specific objects. I, on the contrary, loved to stay in the theatre and follow the rehearsal process. On the other hand, the stage design internships went well and, by coincidence, I had the chance to do a stage design for a play in Stuttgart when I was 21. It made me proud and happy that I found my passion. Back in Berlin, I unfortunately recognized, while working with a couple of theatre groups, that I started to get into trouble with the directors more often. I was unsatisfied with the way they used my stage design. Additionally, I made more than one time the experience that a production was canceled by the director before the premiere, when the stage designers had already finished their work. All the work disappeared in the archives, was never seen and never used. Out of these dependencies the suspicion of wanting to be in the director’s role dawned on me. JE: Having all this awareness of the aforementioned structures in theatres through your work as an assistant, would you consider yourself as somebody who tries to change these structures? Especially given the fact that stage directing can be a very authoritarian practice. JW: Absolutely. I’m also part of the recently founded Ensemblenetzwerk (ensemble network), an association of actors, mainly from smaller local theaters. They are demanding fairer working conditions for actors, more financial security, a less authoritarian system, more rights and all in all a change of the existing theatre system. They address exactly what I never liked about theatre. It is a feudalistic system that praises a better world on stage. Behind the scenes, often, the contrary is practiced. Because I grew up with and in theatre I was never afraid of theatre directors. They are authorities and I respect them like any other person, but in the end, I don’t care about their authority. In the best case, they are friends helping me with my work or providing me with new work. Nevertheless, one often encounters an discomforting, unequal distribution of power in theatres. I can’t change the world. But I can, and I see this as my duty, serve as a small example for a respectful interaction with the actors. I refuse to call people bad actors and force them to humiliate themselves until their performance becomes maybe more suspenseful. I do it differently. I learned this way of interacting with people working as an assistant during a production at Schaubühne directed by Luc Perceval, who encountered people in such a nice way. His stage designer, Anette Kurz, was an immense inspiration for me. When she stepped into the theatre everybody was smiling and it was almost impossible to hide from her positive mind. She told me, Jakob, if you want to work in a pleasant, comfortable and successful mode you must be able to create an atmosphere of joy when stepping into the theatre. Then everything will become possible. This became my strategy. JE: Apart from getting the things you need, I would consider it a political strategy. If you support equality, you are driving the car, but everybody else is also driven by you. It is not you in the car and everybody else jogging next to it or being dragged behind. I think these are two different understandings of being in the driver’s position. JW: The »political« approach of theatre kept crossing my way for some time. The theatre in Hannover, where I worked as a stage director assistant has a strong focus on political theatre. Hasko Weber, the former director of Schauspiel Stuttgart was also known for political oriented theatre. I thought between all of them the theatre I was doing was rather unpolitical. JE: Because you didn’t stage political plays? JW: Not only. I was also not so interested in praising a political message. Nevertheless, I consider the way I direct to be very political. I try to interact in a friendly and open minded way with people, and to be a role model – an example for a non-authoritarian atmosphere. When the audience leaves the theatre with a shining smile like they’d fallen in love with the play, I know I did my work well. In this effect lies a possibility for change. You can change something if you are willing to take people by the hand if necessary. My strategy is simply not telling people what to do and to serve them a message they can eat or die. I prefer more subtle methods. JE: How do you decide what play to direct? Do you choose the text yourself or is there somebody telling you the next travel destination? JW: After working as a freelance theatre director for some time and having done a lot of commissioned works I recognized that theatres propose certain topics to me for a reason. I developed trust in their choice. A dramaturg once told me in his opinion the commissioned plays are often better than the absolute favorite play chosen by the director because there is more distance. I also dismiss proposed plays, when I have the feeling that I find them just uninteresting, although it means taking the risk of being unemployed for some time. I need a personal connection to the text, a topic I’m concerned with. You see a lot of personal stuff in my work, I just don’t announce it as personal, but I need a personal level. JE: How is it to work as a young freelance theatre director in Germany? JW: It was difficult in the beginning. My artistic self-esteem is closely related to the demand of my work. I’m extremely untalented in hanging around on theatre premieres, shaking hands, making myself interesting and so on. This kind of networking is something I’m bad at, but it is sometimes required to get in contact with the right people who can provide you work. The difficulties of young theatre directors are closely related to the high pressure and the speed at which theatres are producing in Germany. As a young professional, you hope to be invited to one of the festivals for the young theatre scene. So, in the beginning it was a difficult. Otherwise, as soon as I had one or two successful plays, there has been constant interest until now. JE: You didn’t want to become a stage designer because of the dependency on the director, but the dependency seems to have stayed somehow only in another relation – between you as a director and the theatres providing you with work. JW: After two years of freelancing I came to the point of finishing my career as a theatre director for exactly this reason. The dependency and self-advertising frustrated me. The effort to write proposals and collect funding for free theatre projects annoyed me. I thought I already achieved my goal: I directed plays, it satisfied me. Now, there are no jobs, so I quit and start to study psychology. That was field that interested me and where I could imagine myself. Paradoxically, since I started to study psychology, I was constantly addressed with proposals from theatres. The combination has a very relaxing effect on me. I’m confident when I’m studying because I can take my time as I already have a job. And I’m relaxed when I work as a theatre director because I know I’m not dependent on it. If there is no demand for my work as theatre director, I can study faster. If I do a new play, I just enjoy directing because I love it. The most important thing is that I don’t fall into holes when I finished a very intense two-month long theatre production and suddenly there is nothing to do than getting lost in binge watching and feeling depressed after a while. Now I’m forced to go to university. Not even forced, I want to go there. JE: In which way do stage directing and studying psychology influence each other? JW: They have an impact on each other in very different ways. I learned how to conduct a negotiation in a psychology workshop and it is very helpful. I was again convinced of the practice of listening to each other rather than giving advices, and, last but not least, while listening to a seminar, I made a draft for a stage design, that you can see on stage in Karlsruhe now. I love when things develop in an everyday practice and I don’t have to sit at my desk waiting for inspiration. Something I experience at Solitude also, that’s why I love it there. Jakob Weiss is a stage director. His works are characterized by stylistically aesthetic coherence, humoristic sensitivity and dramaturgical accurancy. He was invited to festivals such as 100 Grad Berlin, Kaltstart Hamburg and Bürgerbühnenfestival Mannheim.